← Monday Question – What Was Your Last Full Bottle Purchase? I have found an Hermessence I don’t like. I didn’t think that would ever happen and I’m not sure why it did. 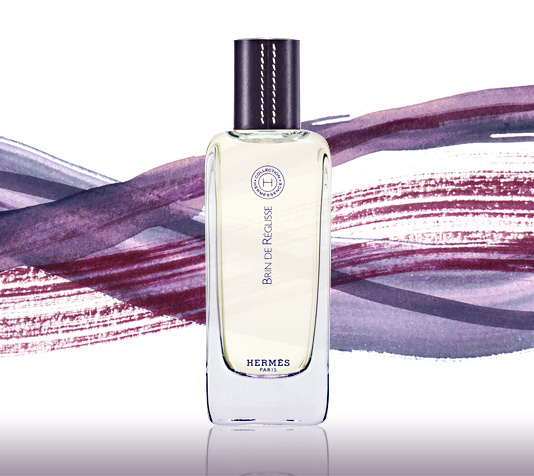 Brin de Reglisse was created in 2007 by Jean-Claude Ellena and includes notes of lavender, licorice, orange blossom and hay. On paper this is perfect. The notes list reads just lovely, Ellena’s own words sound inviting. The actual perfume on me smells horrible. Dry, harsh, sharp, poky sprigs of lavender in formaldhyde, desperately trying to cover something unpleasant underneath. The licorice in here comes out very thick and dense on me, not sweet but strangely treacly and like molasses. After a few minutes the initial wave of unpleasantness calms and the perfume gets easier to wear for me. By now the licorice is more distant and softer, some hay, but very faint and far away is noticeable and the lavender lingers on until the very end. True to form this is the longest-lasting Hermessence I have ever encountered. I think once we dislike something, the tiniest molecule of it re-triggers the entire unpleasant scent memory and therefore evokes the impression of “unscrubbability” and stays in our noses (or brains rather) for the longest time. Brin de Reglisse is the ninth Hermessence I have tried (only Paprika Brasil is missing) and I’m sorry to say, it is not for me. Loving lavender and licorice leads to lamenting lost opportunities. Thanks to Nat from Another Perfume Blog for the sample. This entry was posted in Fougère, Fragrance Reviews, Hermès, Lavender and tagged Brin de Reglisse, Fragrance, Hermes, Hermessence, Jean-Claude Ellena, Lavender, Licorice, Perfume, Review. Bookmark the permalink. I like this one a lot. “Like” as in bought it as one of three in the travel set (the other two – Vetiver Tonka and Rose Ikebana; the fourth one went to a friend). Have you tried it on the “relevant party”? It smells great on my vSO (but I like it on my skin as well). I hope you aren’t upset too much: after all, it’s one less bottle to try fitting into the budget/bottles allowance/cupboard space/skin RE. Hm, I rather found it scary, but most probably only becasue I really don’t like licorice. Odd combinations turn out strangely wonderful, sometimes – and than again, sometimes … just odd. I like licorice in perfume, but here it just doesn’t work for me. I think this smells great on my husband. He has the travel spray as well as Paprika Brasil which is also great on him. I find lavender to be very masculine most of the time. 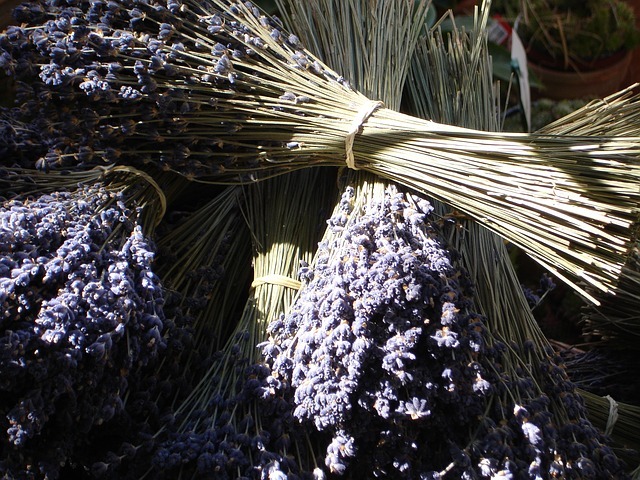 Perhaps it has to do with the many years living in Buenos Aires and Rome and my family having Lavanda Puig on hand. In my mind lavender is quite gender neutral, although this one is probably best on a man. I am definitely not a Lavender fan, and I am not wild about Licorice either, so I think I can quite happily cross this off the list. Phew – it feels quite nice to not be craving something! Haven’t tried it, and definitely a case of “weitraeumig umfahren” (“wide roomily drive around” ; – ) ) for me. Lavender *and* licorice – shudder! Those harsh poky sprigs were what killed Jersey for me! That’s such an interesting idea about an unpleasant scent memory making us think we smell the offending odour for much longer than we actually do. It’s so true that those scents we really dislike seem to hang around the longest but never thought about in this way before. Kind of like flashbacks. Nice theory! There is a study! Rachel Herz, a psychologist who specializes in olfaction, reported in her most recent book (which, incidentally, I highly recommend) “That’s Disgusting” about how test subjects respond in the following scenario: when a group was told that a (benign) scent in a room was just a baseline “smell,” they quickly forgot about it. However, when subjects were told that the scent in the room was a “chemical,” which might be harmful, not only did they notice it for the duration of their time in said room, they claimed that the smell became stronger over time! Oh no! I’m so sorry that you didn’t enjoy this. It’s even worse that it lingered on you for so long! Scrubbers are never fun. I have to re-sniff this one; it’s been a while since the last time I tried it. Usually I stay far, far away from lavender, but I love licorice, so it may be worth giving it another run! Exactly! Réglisse Noire is so lovely, no comparison at all. Interesting: when I tried Réglisse Noire I thought it was a nice scent but I wasn’t sure I wanted to wear it as a perfume, it wasn’t that great on me. I tested this Hermessence a while ago and found it utterly forgettable. Not only did it not last very long on my skin, it was also very sheer and bland. Gris Clair is my fav. lavender fragrance. Doesn’t sound like a winning combination for me but I’m still curious about the scent. I like this one, but I can totally understand why you find it to be harsh. Dior’s Eau Noire does the whole lavender/liquorice thing in a much more full and well rounded way.